Slava Semeniuta, the Russian photographer known online as Local Preacher (previously) uses ultraviolet light to capture plants in electrifying shades of pink, yellow, and green. For his recent series, Granular Creatures, Semeniuta used macro photography to capture flecks and particles unseen by the naked eye. These opalescent figures have an otherworldly glow—emanating dazzling light from their shiny petals and luminescent stamens. You can see more of his surprisingly hued photographs and digital manipulations on his Instagram and Behance. 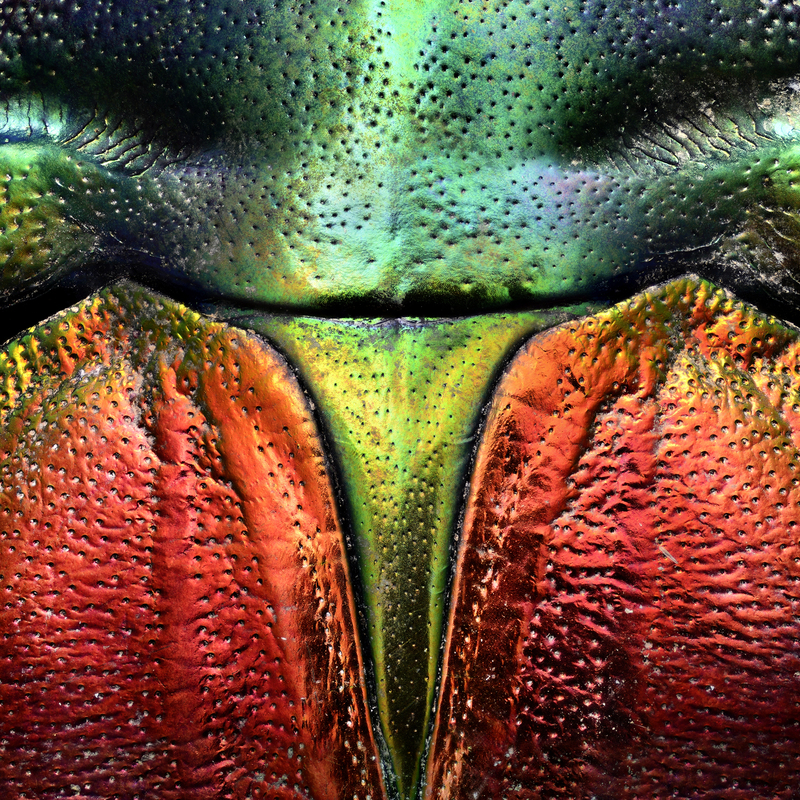 Photographer Levon Biss (previously) shoots highly detailed images of insect specimens for his continuing series Microsculpture, combining 8,000 to 10,000 individual shots to produce the final piece. Included in this selection are the shield bug and tricolored jewel beetle, which were both collected by famous naturalists. The former was collected by Charles Darwin during a visit to Australia in 1836, and brought back to the UK on the famed HMS Beagle. 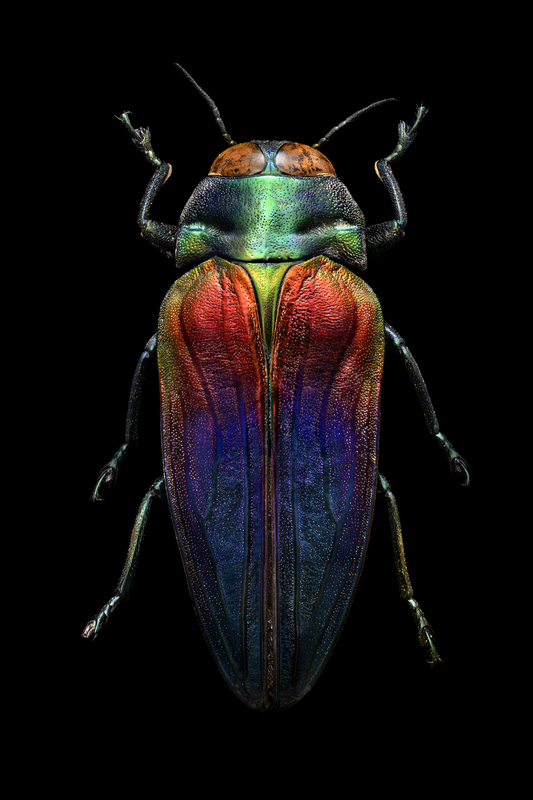 The luminescent tricolored jewel beetle was collected exactly two decades later by his contemporary Alfred Russell Wallace. 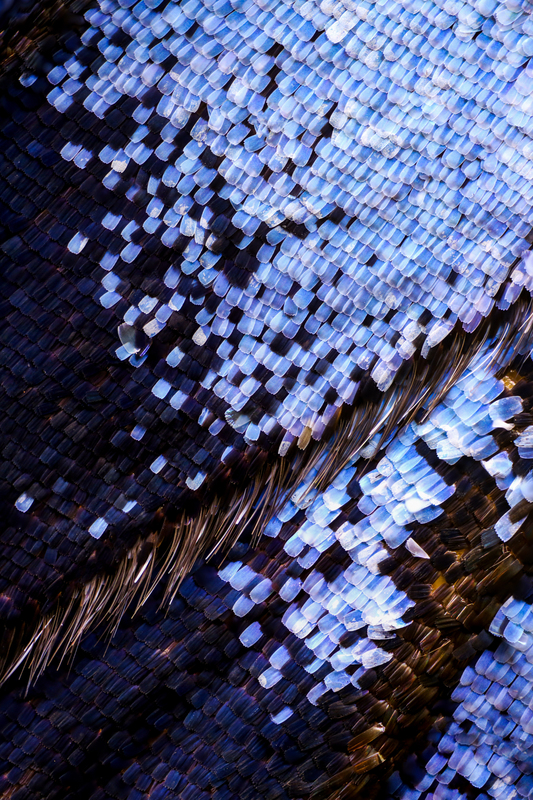 Biss has current exhibitions at the Hessischer Landesmuseum in Darmstadt, Germany through August 5, 2018 and Naturama in Svenborg, Denmark through November 25, 2018, in addition to his first US exhibit Microsculpture: The Insect Photography of Levon Biss which opened at the Houston Museum of Natural Science earlier this month. 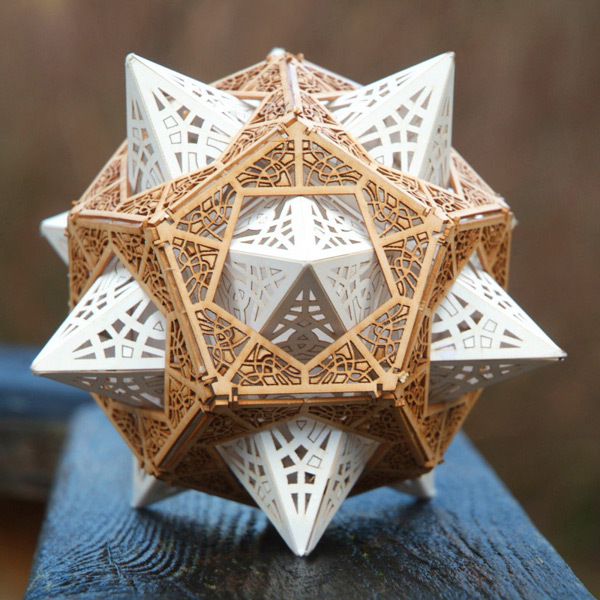 You can buy limited edition archival pieces on his online print shop, and view interactive versions of his highly detailed composite images on his Microsculpture website. You might need your glasses for this one. Quantum physicist David Nadlinger from the University of Oxford managed to capture an image that would have been impossible only a few years ago: a single atom suspended in an electric field viewable by the naked eye. The amazing shot titled “Single Atom in an Ion Trap” recently won the overall prize in the UK’s Engineering and Physical Sciences Research Council (EPSRC) science photo and imaging contest. You can see the atom in the shot above, the tiny speck at the very center.